Our mission to prevent drug abuse and addiction is an ongoing one, and each small step counts. Learn valuable information about addiction and drug abuse, and follow along on our journey to reach Oklahomans of all ages, whether it’s schoolchildren, college students, business professionals, or athletes. Picture the child you love being offered alcohol or drugs for the first time. Do they know how to say no? Are they prepared with their answer? Have you equipped them with the knowledge of why they should resist? Or, will they have no idea how to respond? Which School Drug and Alcohol Prevention Programs Work? There is no shortage of drug and alcohol prevention in the United States. But is there a shortage of programs that actually work? From the time President Reagan claimed drugs to be a threat to the United States, to the moment President Nixon declared a “war on drugs,” to present-day awareness of the growing epidemic, hundreds of programs have been created in hopes of keeping young people from becoming addicted to drugs or alcohol. We understand many parents and guardians don’t believe drug or alcohol addiction could ever affect their child, but access to drugs and alcohol is more prevalent than most adults understand. While it isn’t the easiest conversation to have, educating your child on addiction can ultimately save their life. Not only does substance abuse result in bad morale and low productivity, it’s dangerous. In fact, employees with alcohol dependencies were nearly three times more likely to have injury-related absences, according to the National Council on Alcoholism and Drug Dependence. 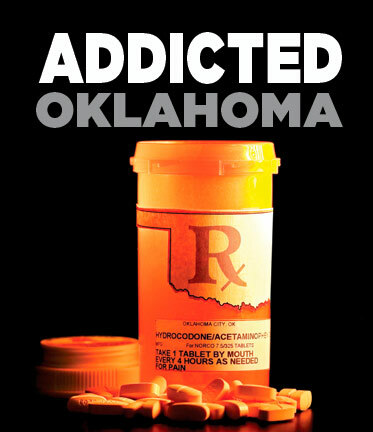 Drug, alcohol, and tobacco abuse is a growing problem in Oklahoma, especially among high school students.